I thought for a few minutes, I remembered the way my dad treated my mom, the way my husband treats me and then, lol, I thought about the ways my novel heroes treat the heroines. Not surprisingly my heroes tend to emulate a lot of the romantic gestures of good and great relationships I’ve been privileged to witness. I told him not to be pushy. If she isn’t ready for a serious relationship it might scare her off. I did tell him to make sure that he knew her, really knew her, but to be subtle about it. Acknowledge who she is and encourage her personal identity. He has to share his likes and dislikes, but he shouldn’t expect her to always agree. I said just be a constant and let her know she is appreciated. In my novel Within the Law, Tom notices the glass miniature figurine collection in Allie’s apartment. Later in the story when he wants to get her flowers, he gives her crystal roses and other flowers. She’s touched that he remembered this about her even though they never discussed it. In A Chaunce of Riches, even though it’s been years since they were together, Ben surprises Samantha when he remembers her favorite drink and prepares it for her after an extra long day at work. Even though she moved on without him, he still lets her know he admires where she’s gotten to educationally and in business. It’s just touches here and there, little things a guy does to make a woman feel special, one of a kind, and important. Like all the times my dad introduced my mom as his queen… And like all the times my husband brags about his romance author wife even though he is not a fan of romance novels himself. Make a woman feel special, that’s how you get her attention. I caved this year and bought myself a Kindle. While the feel of real paper and a bound book in my hands is truly exquisite, I began to notice the convenience of "the e-book" as I won a contest here or there and received a free book, or I was sent a book to review or edit. On one side I had piles of books and no more shelf room and on the other I had volumes of reading material on a computer disk or, better yet, a thumb drive to plug into my Netbook while I sat in the living room. 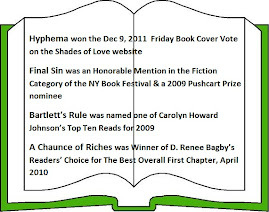 Then I found GOLD - some e-book retailers offer their specific reading applications FREE for the computer. As soon as I found that out, I downloaded and installed Kindle for the PC, Nook for PC, and the Sony e-Reader. In addition I already had Adobe (.pdf) reader and word processing that opens .txt. So you don't even need a separate e-reader to enjoy the convenience and economy of e-books. I felt like I was sitting in front of an entire library wall all my own! I decided to go the whole route though and after researching available e-readers, chose one that fit my budget and my needs the best. There were a lot of surprisingly affordable choices. I finally settled on a Kindle Keyboard 3G. I've found that e-books generally cost about one-third of the price of print books (some more, some less) so buying books re really economical. 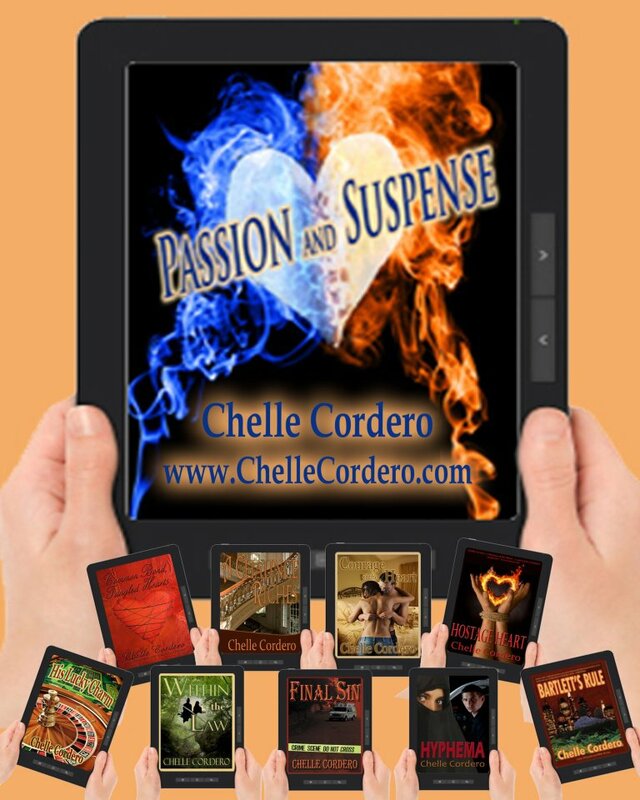 And a really fun fact, there are several FREE e-books in various formats available! My Kindle is loaded and anywhere I go, I always have terrific reading material. 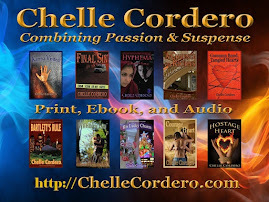 *btw, all of my novels are available in print and e-book formats. Visit Amazon, Barnes and Noble, or Smashwords. 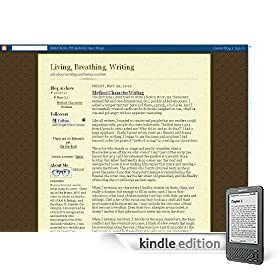 Publishers, from the larger conglomerates to the small-press, have found the economy of publishing in e-book format (especially for a newer author) instead of absorbing the huge investment of a run of print books. And the convenience and speed of downloads is enough to impress any avid reader. If you need more convincing, here is a well stated article on the subject: The Book Is Dead Or Soon Will Be by Nicholas Hirst. My fiction writing is really a mix, always inspired by something “real” but wound through a vivid imagination to create, what I hope is, an interesting story. As a child in grade school I used to relate stories about my family, the family history I knew of, daily events and more. Of course I delivered these stories with a flourish sometimes garnishing them with elaborate details, but ALMOST always telling my perceived truth. While most of my teachers and my parents encouraged me by listening, nodding, and asking me to tell more, I did have some classmates and skeptical teachers who accused me of “telling tales” and dismissing me as a “fibber”. In reality almost every story I told was based on truth even though it was colored by my young perspective. There WAS the time three strange men were tapping phone lines in the building next door to where I lived, and two friends and I snuck down there to observe. At a time when spy shows were the big fad on television, our imaginations immediately went to international espionage. (Now as a adult I can imagine it was probably something as simple as a marital dispute, but it was still very exciting.) Of course my classmates didn’t believe that my friends and I stumbled upon something so extraordinary and they weren’t very kind in letting me know how they felt. That never really stopped me, I loved to tell stories. My parents were great role models and encouraged both my sister and me to be heavily involved in our communities and to volunteer where we could to help others. Being involved and volunteering has led to many real-life adventures and experiences that are often out of the ordinary for most people. I volunteered with the NYC Auxiliary Police in the early 70’s, and currently I’ve been a volunteer EMT with my local ambulance corps since 1986, so I’ve responded to a lot of emergency situations, dealt with a lot of people during a crisis. My stories often contain MANY bits and pieces from real-life experiences. 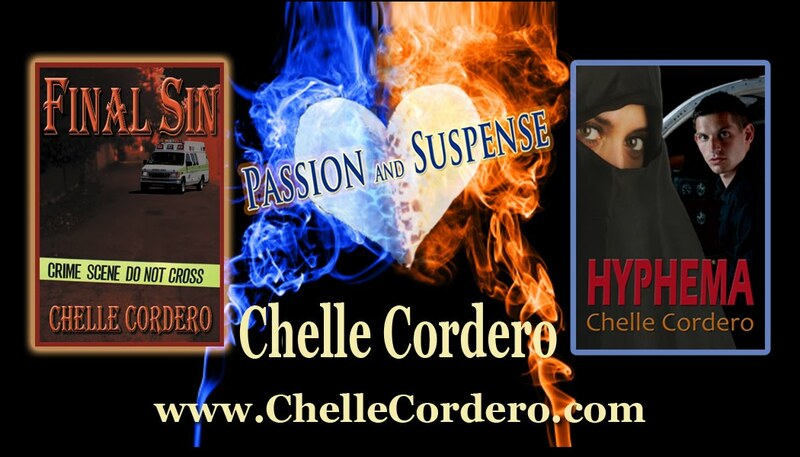 Both of my “EMS novels”, Final Sin and Hyphema revolve around the EMS and emergency services world. I find the background of emergency services to be very exciting and I feel that putting characters into that setting just creates action. I hope that my readers enjoy it as much as I do. & write "Trading Cards" on the back flap! My name is Sudah Garratti, I am also called Mrs. Matt Garratti. What are your speech patterns like? I try very hard to speak English like Americans do, but I sometimes get confused with strange phrases. A few times I have lost my temper and raised my voice, but this is something I should not do. I do not believe I give people any reason to be afraid of me. Usually when a person wishes to argue, they are not willing to listen to the way another person sees things so I prefer not to argue. How much power do you wield at home, in the workplace, and in social situations? Are you the quiet "power behind the throne" type or do you wield obvious power? I try to let the outside world see that my husband is in charge – but at home I know how much it means to Matt that I am happy, so in truth, I feel very powerful. What would be the first impression most people get when they meet you? People see a small woman who wears a scarf to be modest, they see a woman who comes from “over there” and sometimes they worry that I am there to do harm. People are very suspicious of dark skinned Muslims, they do not understand that most of us are just like everybody else. I was schooled in Pakistan, I guess it would be equivalent to high school. I came to America to study business in college but the college course ended because the school lost funding. I do not study business right now, but I still go to college to learn about American history, I wish to become an American citizen and this is something I must know. We recently moved from New York to North Carolina. I live in a house with my husband and young son. Matt says the house is small but to me it is very nice size. My cousin Raja comes to live in America and stays with us. Are you in a relationship, or part of a family? I am a wife and a mother. My parents, aunts, uncles and cousins are still in Pakistan. If yes, are you happy or discontented in the relationship / this family? I am very happy being married to Matt and mother to Aden. My family in Pakistan is not happy that I am married to an American non-Muslim, it makes me sad that they do not accept my marriage. It would make me very happy if my parents accepted Matt and thought of Aden as their grandson – I think maybe one day they will soften but for now this is the way it is. I chose to marry Matt, I love him and our son very much. My real best friend is my husband, Matt. I have a very nice friendship with his former paramedic partner, Julie – I met her after Matt and I were married. I am making good friends with some of the wives of Matt’s coworkers here in North Carolina. Who do you dislike most? Why? I do not really dislike anyone. It makes me upset when someone tries to hurt the people I love. Who else is in your circle of acquaintances? Who would you turn to in times of trouble? I like to go shopping with the wives of Matt’s coworkers, I get along nicely with most of them. If I need to turn to someone it would be Laurie or Trish, their husbands have worked with the EMS response agency for a while and they have welcomed Matt and me nicely. If there is anyone in your circle that might betray you, who would it be? There is one of the wives, her name is Donna. She does not like the fact that I am Pakistani or Muslim. She says many mean things and she embarrasses her husband with her insults. I would never expect Matt or Raja to betray me. Matt loves me and lets me know all the time how much. Raja and I are like sisters, we were raised together. I would be very, very hurt if either of them ever betrayed me. How would you describe your life to this point? I am very happy, I married a man who loves me and is a good man. I am very proud of him, he cares about people. My son brings me much joy. I like the home we live in and the land around us is very pretty. I have a good life. How important are material possessions to you? Material possessions can bring you comfort but they are not as important as the people you love or your self respect. It is nice to give nice things to the people we love but when we get too busy having nice things that we ignore our families, it is not right. I have many more opportunities in America than I did in Pakistan. Matt takes good care of us so I can go to school and study. I live a simple life. It is important to me that I keep a nice home for my husband. The kitchen is an important room in our home, that is where I cook meals and feed our son. I feel that I am on my way to achieving all the things I want to in life – right now I am a good mother and I try to be a good wife. As I learn more to become an American woman I will make matt proud of me. Maybe one day I will be a business woman too. What are you about to do right now - today? How is this relevant to what is important to you? I am studying my history books because the teacher said there will be a test. The more I learn, the easier it will be to pass my citizenship tests. I will cook a nice dinner for Matt.